Have I written enough about tea? Hot drinks are named again and again as crucial to the experience of hygge. In Denmark, it’s coffee that hits the spot… the Danes drink approximately 5.3kg per head per year but in the UK it’s tea that binds and keeps us hygge. We’re famous for tea drinking, as you can read on this Social History of Tea from the UK Tea and Infusions Association. Given world affairs (I am not mentioning anything in particular) have things in an uproar here today, I found the section on tea drinking during the world wars interesting. 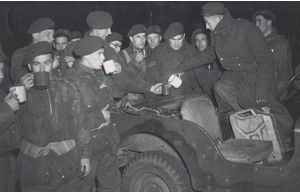 George Orwell offered sensible advice to make the 2oz ration go as far as possibleRationing by no means diminished the British enthusiasm for tea. In January 1946, the author and journalist George Orwell published an essay called ‘A Nice Cup of Tea’ in the Evening Standard newspaper, calling tea ‘one of the main stays of civilisation in this country’, and listing his 11 ‘golden rules’ for tea making.He acknowledged the controversial nature of some of them – such as his insistence that the tea should be poured and then the milk added, and that tea should always be drunk without sugar – but he also offered sensible advice to make the 2oz ration go as far as possible, such as using water that is still at the point of boiling, in order to make the strongest brew from the least tea. 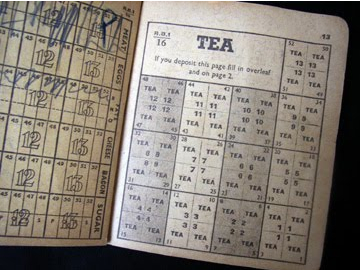 Orwell also used the ritual of tea-making as a device in his fiction. In his novel Keep the Aspidistra Flying, the main character, Gordon Comstock, makes tea secretly in his rented room as a means to undermine the oppressive authority of his landlady, who does not allow it. But the ritual and secret delight of Comstock’s evening cup of tea also reveals something about himself: Comstock, an aspiring poet, has attempted to reject everything that he associates with bourgeois society – but he cannot reject its favourite drink. It’s like a secret medicine, a plaster that fixes everything. And today (no, no politics) more than every we need a cup of tea. Breathe, relax and share a moment. If we can help to shape the path, we can change the future. One cup at a time. One of the first lessons you still learn on the wards as a student nurse is to offer a cup of tea in all eventualities. You also learn that it might be thrown in your face along with a mouthful of abuse but it is the tea that is important.